Use one of the Southwest Vacations® promotion code coupons below to start saving. Book a flight + hotel package to Mexico or the Caribbean, and save $250 when you use the promo code 72HR250 at the time of booking. 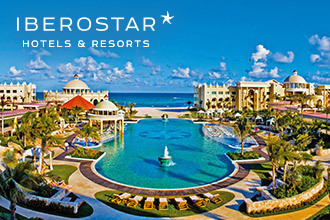 Save up to $150 at Iberostar Hotels & Resorts. Book a flight + hotel package of $1,500 or more to Iberostar Hotels & Resorts in Mexico or the Caribbean, and save up to $150 when you use the promo code 150IBERO at the time of booking. Book a flight + hotel package of six nights or more to Honolulu, and save $150 when you use the promo code OAHU150 at the time of booking. Book a flight + hotel package to Cabo San Lucas/Los Cabos, and save $150 when you use the promo code CABO150 at the time of booking. Book a flight + Karisma Hotels & Resorts package of three nights or more in Cancun, Riviera Maya, Punta Cana, or Jamaica, and save $150 when you use the promo code LUXURY150 at the time of booking. Book a flight + hotel package to any U.S. destination we offer (excluding Hawaii), and save $100 when you use the promo code DOM100 at the time of booking. Save $60 at select MGM Resorts in Las Vegas. 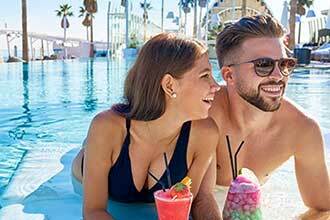 Book a flight + hotel package of three nights or more to MGM Resorts in Las Vegas, and save $60 when you use the promo code 60MGM at the time of booking. 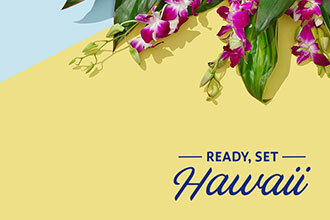 Book a flight + hotel package to Hawaii, and save $200 when you use the promo code HAWAII200 at the time of booking. 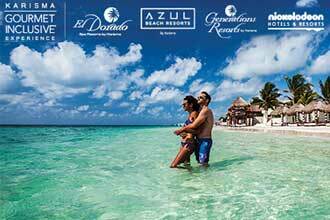 $250 per reservation promotion code savings apply on flight + hotel vacation packages to Mexico or the Caribbean. Savings is reflected in the package price when using promotion code 72HR250 at the time of booking. Length of stay for flight and hotel components must match. Promotion code intended for redemption by individual consumer only. One-day advance purchase is required. Savings valid if booked 4/23/19 – 4/25/19 by 11:59 p.m. CT for travel 8/20/19 – 11/1/19. Up to $150 per reservation promotion code savings apply on flight + hotel vacation packages of $1,500 or more to Iberostar Hotels & Resorts in Mexico or the Caribbean. Save $100 on packages totaling $1,500 – $2,999; Save $150 on packages totaling $3,000 or more. Savings is reflected in the package price when using promotion code 150IBERO at the time of booking and is based on total package price before discount is applied. Length of stay for flight and hotel components must match. Promotion code intended for redemption by individual consumer only. One-day advance purchase is required. Savings valid if booked 4/23/19 – 5/6/19 by 6:00 p.m. CT for travel 4/24/19 – 11/1/19. $150 per reservation promotion code savings apply on flight + hotel vacation packages of six nights or more to Honolulu (HNL). Savings is reflected in the package price when using promotion code OAHU150 at the time of booking. Length of stay for flight and hotel components must match. Promotion code intended for redemption by individual consumer only. One-day advance purchase is required. Savings valid if booked 4/16/19 – 4/29/19 by 6:00 p.m. CT for travel 4/17/19 – 11/1/19. $200 per reservation promotion code savings apply on flight + hotel vacation packages to Mexico or the Caribbean. Savings is reflected in the package price when using promotion code INTL200 at the time of booking. Length of stay for flight and hotel components must match. Promotion code intended for redemption by individual consumer only. One-day advance purchase is required. 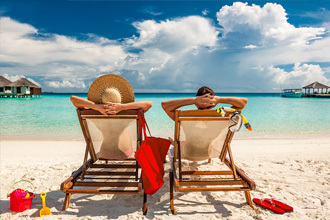 Savings valid if booked 4/10/19 – 5/31/19 by 6:00 p.m. CT for travel 4/11/19 – 5/31/19. $150 per reservation promotion code savings apply on flight + hotel vacation packages to Cabo San Lucas/Los Cabos (SJD). Savings is reflected in the package price when using promotion code CABO150 at the time of booking. Length of stay for flight and hotel components must match. Promotion code intended for redemption by individual consumer only. One-day advance purchase is required. Savings valid if booked 4/16/19 – 4/29/19 by 6:00 p.m. CT for travel 4/17/19 – 11/1/19. $150 per reservation promotion code savings apply on flight + Karisma Hotels & Resorts vacation packages of three nights or more to Cancun (CUN), Riviera Maya via Cancun (CUN), Punta Cana (PUJ), or Jamaica via Montego Bay (MBJ). Savings is reflected in the package price when using promotion code LUXURY150 at the time of booking. Length of stay for flight and hotel components must match. Promotion code intended for redemption by individual consumer only. One-day advance purchase is required. Savings valid if booked 4/2/19 – 4/29/19 by 6:00 p.m. CT for travel 4/3/19 – 9/1/19. $100 per reservation promotion code savings apply on flight + hotel vacation packages to any U.S. destination we offer (excluding Hawaii). Savings is reflected in the package price when using promotion code DOM100 at the time of booking. Length of stay for flight and hotel components must match. Promotion code intended for redemption by individual consumer only. One-day advance purchase is required. 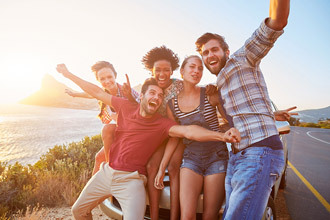 Savings valid if booked 4/10/19 – 5/31/19 by 6:00 p.m. CT for travel 4/11/19 – 5/31/19. 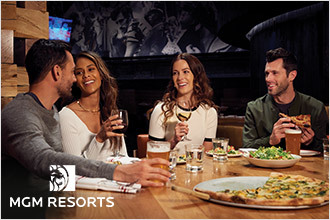 $60 per reservation promotion code savings apply on flight + hotel vacation packages of three nights or more to MGM Resorts in Las Vegas (LAS). Savings is reflected in the package price when using promotion code 60MGM at the time of booking. Length of stay for flight and hotel components must match. Promotion code intended for redemption by individual consumer only. One-day advance purchase is required. Savings valid if booked 4/16/19 – 4/29/19 by 6:00 p.m. CT for travel 4/17/19 – 11/1/19. 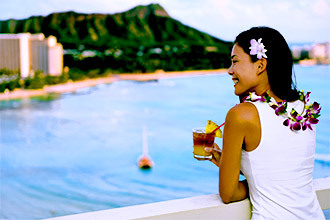 $200 per reservation promotion code savings apply on flight + hotel vacation packages to Hawaii. Savings is reflected in the package price when using promotion code HAWAII200 at the time of booking. Length of stay for flight and hotel components must match. Promotion code intended for redemption by individual consumer only. One-day advance purchase is required. 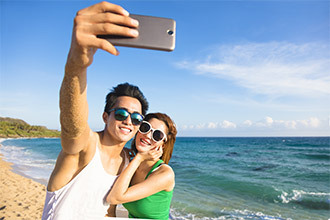 Savings valid if booked 4/10/19 - 5/31/19 by 6:00 p.m. CT for travel 4/11/19 – 5/31/19. Why book with Southwest Vacations? For starters, we help you save money on your all-inclusive resort vacations and more by offering promo codes to your favorite destinations. Destinations like Las Vegas, Mexico, Jamaica, Cancun, Disney, Orlando, and more. So with all of our promotion codes on one page, it’s never been easier to find great deals on great vacation packages. That’s everything from thrilling Las Vegas vacations to tropical Mexico vacations. Heck, we even offer exclusive travel coupons so you can save more, explore more, and do more.